It’s Savanna Durban Comedy Week! Once a month since 2015, On Fire, Savanna Cider and East Coast Radio present three 3 slick, beautifully curated shows across Durban, featuring some of the best South African (and international!) comedians. The promoters are delighted to welcome back one of the best comedians to ever come out of Durban – Richelieu B! Also back by popular demand is hilarious Zimbabwean – Simba! They're joined by top South African comics – Dave Levisohn and Jem Atkins! 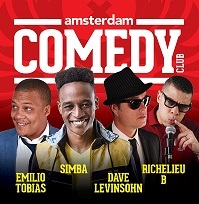 Also on the line-up: one of the new wave of young, hot comics: funnyman Emilio Tobias (on tour from Johannesburg). And don’t miss talented up-and-coming comedienne, Leah Jazz! Each show is 90 minutes of guaranteed laughter! Event details below – Check out www.onfirecomedy.co.za for line-ups and shows. April 27, 2019, at 20h30 (dinner from 18h30): Butlers Comedy Night, Butler’s Restaurant, (24 Old Main Road, Hillcrest. Now in its third year, Butlers Comedy Night is the hottest thing to do on a Saturday night in Hillcrest! 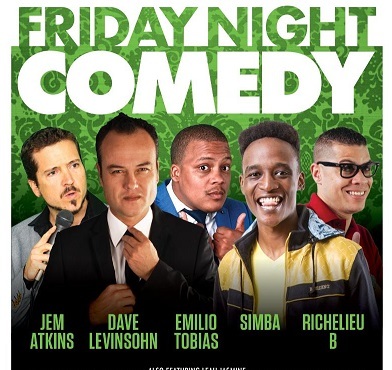 Enjoy delicious food, drink and 90 minutes of non-stop laughter with some of SA’s very best comedians…now that’s a good night out! Line-up: Richelieu B, Simba, Emilio Tobias and Dave Levinsohn. 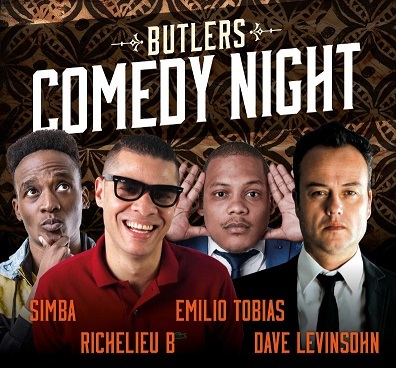 Tickets: R100 - Pre-sales – Quicket - https://www.quicket.co.za/events/68837-butlers-comedy-night/#/ Tickets also available at the door on the night (R120). Proudly brought to you by On Fire, Savanna Cider and East Coast Radio!